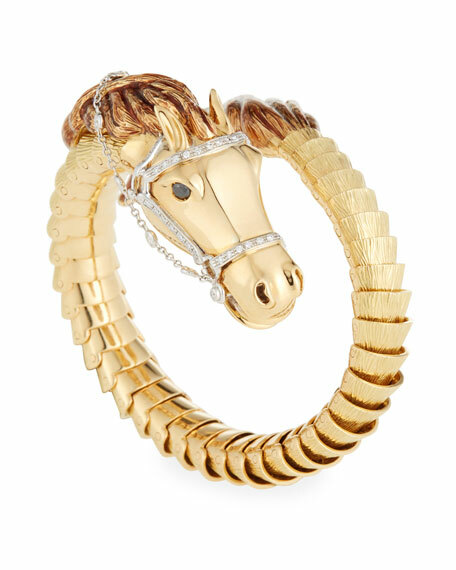 Coiled horse bangle by Roberto Coin. Scalloped frame with horse end caps. White diamond pave horse bridle.